Dr. Vickii Bingham-Lester recommends KöR® teeth whitening to Gambrills patients in the Crofton, MD area, for three simple reasons. KöR® is effective, comfortable, and permanent. The shade of your teeth is a combination of natural pigmentation and stain molecules. Most whitening products contain peroxide to break up and release stains. It works, only if the full potency of the formula is maintained for a sufficient amount of time. KöR® whitening gel is kept refrigerated from the point it is manufactured to the time it is applied to your teeth. Saliva destroys whitening gel on contact. KöR-Seal™ trays keep saliva out of the whitening trays and keep the product away from your gums. Most products deliver 25 to 35 minutes of active whitening. KöR®’s superior design allows six to ten hours of effectiveness while you sleep. KöR® is the gentle and safe teeth whitening Gambrills patients prefer. The KöR® system includes an initial desensitizer, applied chairside at your in-office whitening visit. A second desensitizer is incorporated in at-home whitening. You get amazing results, with little or no sensitivity. For more information on the benefits of professional teeth whitening. Dr. Bingham-Lester has used KöR® for several years. She finds that it works well, even for patients who have been told previously that their discoloration from tetracycline or fluorosis is permanent. This method reconditions enamel to effectively whiten teeth. Gambrills patients see deep stains disappear as they are reduced to small colorless particles. With at home applications, results are maintained. At a young age, our teeth are healthy and white. 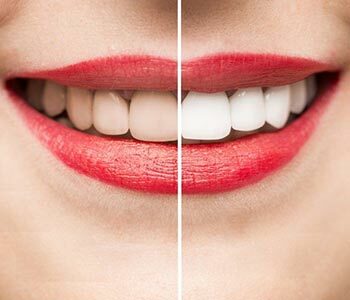 But over time, the enamel coating the tooth is slowly worn down, causing our teeth to become stained and yellow, which is why teeth whitening is becoming increasingly popular today. There are a few methods for whitening. They include at home and in-office. With in-office treatments, you’ll see faster results, receive the safest treatment for bleaching the teeth, and yield the whitest smile. So don’t settle for teeth that have become stained from years of coffee drinking, tobacco use, or just aging. Ask your dentist about whitening options that may be right for you. Your smile can "pop" with professional whitening! This brief informational video from Dr. Bingham-Lester at Bingham-Lester Dentistry explains whitening options, the procedure, and benefits of this increasingly popular cosmetic dental treatment. Call Bingham-Lester Dentistry 410-885-6522.. to learn more. Dr. Bingham-Lester is so impressed with KöR®, that her Invisalign® patients are treated to this boost, to complement their straight new smiles. Call Bingham-Lester Dentistry today at 410-885-6522 for more information on the benefits of professional teeth whitening. Robert B "Top Notch! Dentist and Staff very professional,competent, and friendly. Takes extra time to answer any questions and provide excellent recommendations."